Cosmo flew to Singapore to be the first to experience a breakthrough line of natural hair products that addresses your top hair issues. Check out our beauty-travel post. 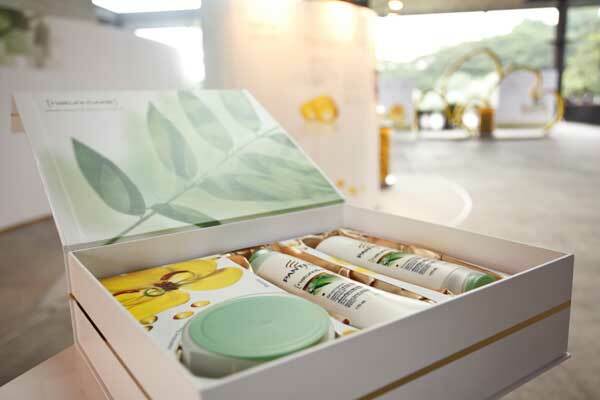 Singapore – Cosmo headed for this cosmopolitan city (pun intended) to be among the 60 journalists who were first in Asia Pacific to experience the newest natural hair care line to hit the market: Pantene Nature Care. The hair care brand that brought you effective hair product lines like Hair Fall Control and Smooth and Silky now ventures into natural hair care—while continuing to address these top hair concerns. In the partial results of Cosmo’s State Of The Sistah 2011 poll (if you haven’t taken it yet, click here! ), we found that more than half of you consider hair care as very important and among your top priorities when it comes to your beauty regimen. And if the significant number of Cosmo readers who said a hair straightening iron is your favorite hair styling tool, then we can say a lot of you consider having straight, frizz-free hair as your mane ideal. You already know that heat styling can do more damage than good in the long run. They can lead to dry locks, split ends, and even breakage. It doesn’t help that the shampoo and conditioner you use may be too potent for your already distressed locks. That is why a lot of beauty junkies now turn to all-natural hair products, as they’re supposed to be gentler on our mane. But did you notice that a lot of all-natural or organic hair products don’t seem to clean your hair as well as normal shampoo does? Some tend to leave our hair limper than ever because they don’t have the shine- and volume-boosting ingredients more common shampoo brands carry. And very few organic or natural shampoos are conditioning. Their clear formula doesn’t allow for the conditioning properties we need. If you want to use natural products on your hair but are unsatisfied with the results of other organic or all-natural hair care products (i.e. they make your hair limp, coarse, and dry; or they don’t seem able to clean your hair and scalp properly), you could try a shampoo that uses natural ingredients but still manages to use the technology that makes your regular shampoo effective in cleansing and protecting hair. Try the Pantene Nature Care Shampoo (P99.75), which helps lift and bring volume to hair without leaving it dry. It leaves a protective coat on hair, reducing environmental damage. 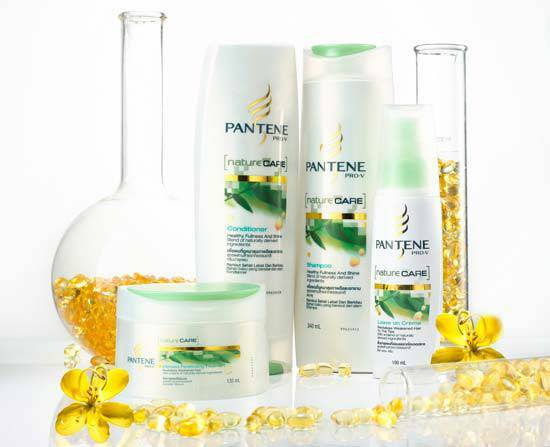 The entire Pantene Nature Care line is made with natural ingredients like the seed of the Cassia flower, an ancient Chinese and Indian medicinal plant which has strengthening and healing properties. “We activated the Cassia seed with the science of Pro-Vitamin B5 to form the supercharged Cassia complex, which forms a net-like concentrate which protects hair from friction. The silicone that’s deposited into hair, making it smooth and shiny, adheres well with the help of Cassia,” explains Dr. Jasmine Karsono, a scientist for P&G who focuses on hair biology. A unique feature of the shampoo is its clear formula that delivers both conditioning benefits and a rich lather. Unlike some natural shampoos that barely lather, “its unique clear formula produces a cream-like lather that effectively pulls out dirt and grime from your hair when you wash it off,” explains Selin Mariadhas, B.Sc., senior engineer for beauty and grooming at P&G. The shampoo works in harmony with Pantene Nature Care Conditioner (P99.75), which helps keep hair manageable, prevent frizz, and maintain hair resilience and fullness. The key to this is the technology that separates hair strands for effective and even conditioning. Just as you moisturize your face daily after cleansing, so should you moisturize hair by using conditioner daily after you shampoo, says Karsono. And, just as you use a face mask once a week as a pampering treat, so should you use deep conditioning once a week, using a treatment like Pantene Nature Care Intensive Penetrating Treatment (P149). If your hair is damaged, you can use deep conditioning daily, in lieu of your basic conditioner, to provide a protective layer on your distressed locks. You can also try Pantene Nature Care Leave On Creme (P259), which gives an additional protective coat to your hair with light conditioning anytime your hair needs an extra dose of moisturization—even while you’re on the go. This is particularly handy for the upcoming summer months—a definite must-have when you travel. For a more detailed account of Cosmo's beauty trip to Singapore, click on the next page. Cosmo trooped to the picturesque Hort Botanical Gardens in Singapore, where we got acquainted with the wealth of ingredients from nature that are found in medicinal and cosmetic treatments amidst beautiful tropical plants. According to Professor James Tam, Director of Drug Discovery and Founding Dean of the School of Biological Sciences at Nanyang Technological University in Singapore, the Cassia flower is one of them, of course. Later, Cosmo joined the other journalists in a fun series of workshops that allowed us to fully appreciate the effects of Cassia and nature in general (we got to make miniature indoor plants called terrariums—something you can experience when you visit Hort Botanical Gardens, as they give such workshops) and see how the new Pantene Nature Care line works. Mariadhas demonstrated how Pantene Nature Care created its unique clear liquid form from the crushed cassia seed powder that was changed into the powerful Cassia Complex that protects hair. The powder was placed in clear bottles and mixed with water. The bottles were then passed around to show how the extract turned into a gel-like form upon contact with water. Then, she also demonstrated Nature Care Shampoo’s efficacy in cleansing hair of residue when compared to other shampoos. Both Nature Care Shampoo and a competitor shampoo were mixed together with water and chili oil, and left to stand for five minutes. Results showed that Nature Care Shampoo pulled more oil out of the water and into the lather, compared to a leading shampoo brand. In use, this lather would rinse away, leaving behind clean, healthy hair. It also leaves an invisible, light-weight protective coat that stays even when hair dries off. We also met celebrities from other Asian countries like Thai actress and Unicef Ambassador Ann Thongprasom (who looks like she could very well be a Pinay leading lady), Indonesian VJ and actress Marrisa Nasution, and popular Vietnamese dancer Linh Nga, who has super long, super straight hair. It didn’t stop there. We were also able to experience salon pampering, Singapore-style, as we experienced first-hand the lovely, relaxing scent and effects of Pantene Nature Care’s shampoo, conditioner, and leave on creme at J’s Salon in Singapore. The line does make styling so much easier (as it makes your hair stronger and have more volume) and less damaging to your hair. Launch the gallery to view Cosmo’s photos of the Pantene Nature Care launch in Singapore.